It makes sense for Billy to want to destroy the Grant administration. He doesn’t feel like Fitz deserves to be president; the administration basically called him a lunatic and took away all his credibility (but apparently not all of his political power). While Billy argued every misdeed, every wrongdoing in the name of Sally Langston, once she virtually turned her back on him, he became out for blood. As I stated in my previous post, jealousy and revenge are both powerful emotions. As Sally Langston’s former Chief of Staff, Billy is well connected and likely has many friends within the building. While he may not publicly have power, he has friends in powerful places and likely has enough intel to pull in some heavy favours. Its still unclear how he managed to surpass Cyrus, VP Langston and the President to somehow pull rank, but unfortunately this is politics; where many a deal happen in a back alley way behind closed doors. As I mentioned in my previous post I knew the mole wasn’t working alone. Since we already knew that at the very least both Jake and the ‘man on the bench’ (for lack of a better description), it makes no sense why the mole would now act alone. David Rosen was a suspect on my list and while he does have motive, I had my reservations due to his lack of political power. In my previous post I had him pegged with James as his associate, due to their relations with Defiance, however Billy makes for an interesting turn of events. Billy likely came into contact with David following his failed election rigging trial. Billy only had the affair as his intel on the President, and now without a girl, that was virtually useless. David basically brought Defiance into his lap and he jumped at the chance to bring down the administration that took it all away from him. David who has basically been stripped of his job, reputation and career has nothing left to lose. Somewhere deep inside he still carries that metaphorical white hat, and feels that the American people deserve to know about Defiance. As I mentioned in my previous post, by working at Pope and Associates, David has been able to gather intel on Olivia, her clients and her staff. Notice how he repeatedly kept mentioning the girl, who the President was having an affair with. With the name of the girl, the affair and Defiance, the Grant administration would virtually be down in flames. David knew that Abby had stolen the memory card to the voting machine in Defiance, and was biding his time until he could find where it was held. When Olivia showed him the memory card, and with Charlie on his side, there was no stopping this story. 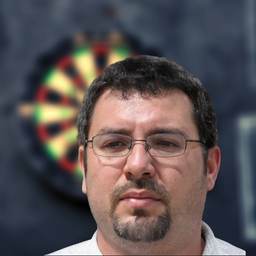 Throughout the episode, David kept repeating ‘ I know which team I chose,’ almost foreshadowing his at least alleged betrayal.It was also rather suspicious that he stayed in the office to ‘watch the White House briefings’ while the rest of the associates were out to lunch. 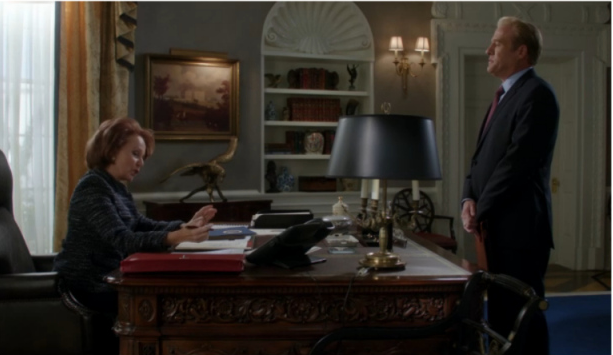 However this is Scandal, just earlier this season we were painted this picture of Huck being the President’s killer which turned out to be false. Shonda loves a good fake out. While I do think that both Billy and David are involved, theres definitely more to the story. Everything Olivia does has a purpose. She opened the safe (without hiding the combination I might add) in plain sight and yet gave Harrison the 2 files in private. Something is telling me that the memory chip is either a decoy or is somewhat encrypted to track the mole. Olivia seemed more interested in the name of the mole than the whereabouts of the chip, and with Fitz deciding to run for re-election Defiance would ruin that chance. While I do think that there is a third party involved we can cross some names off the list. Sally Langston– Billy was likely using her computer for intel and information however for her to be involved of her own free will would be too risky in case she was caught. As the team mentioned, if congress impeaches Grant she would be thrown out with the bath water. Grant completing his term, and maintaining his approval ratings, is in her best interest to garner his support for her presidential election. 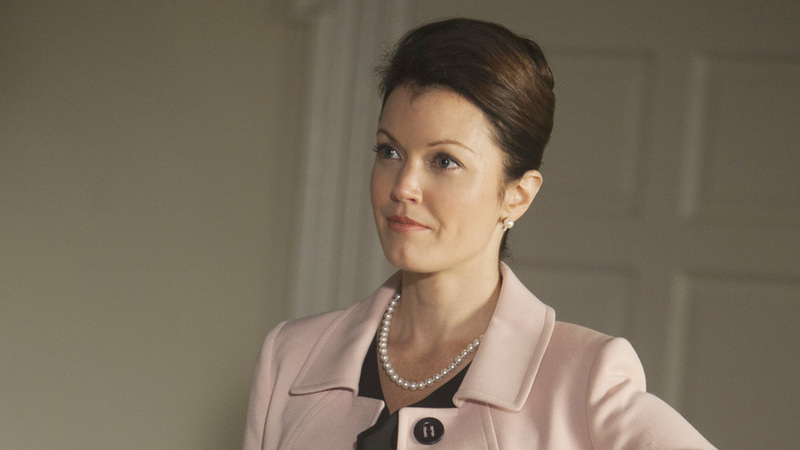 Mellie Grant – While she may be at the top of many a suspect list I don’t see her being involved. She likely has her own proof of Defiance and I don’t see her working with Billy after he tried to ruin Fitz’s presidency with an affair during season 1. Similarly to Sally Langston, it is in her best interest for Fitz’s approval ratings to be high as he leaves office; to help build her own political career. While she did make the affair announcement, I don’t see her going so far as to wanting to impeach the president. 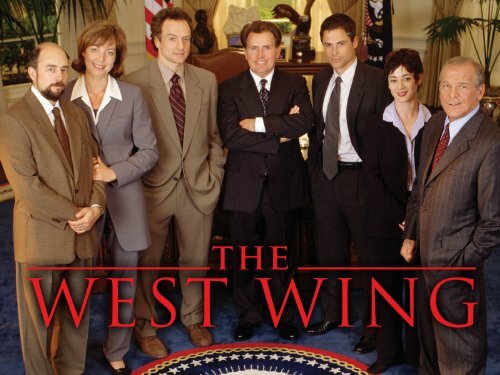 Cyrus Beene – As I mentioned in my previous post, it just seems too obvious to have him involved. Although he knows the mysterious bench man (after some thought I think his name might be Rowan? 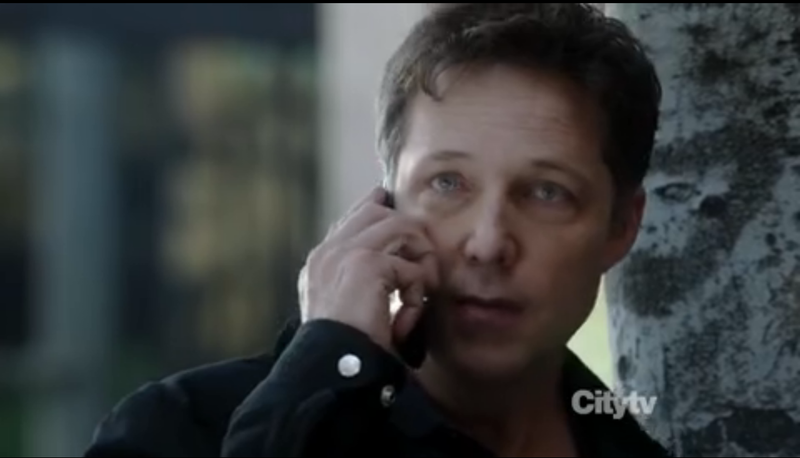 ), both he and Mellie didn’t know who Jake was. Since he is so close to this investigation, that seems highly unlikely for a potential mole. However I now have a new suspect. Rowan, the mysterious bench man. I know what you’re thinking but just hear me out! Rowan has clearly been keeping surveillance on Olivia as he mentioned when talking to Cyrus. He also asked for evidence of Jake’s affair with Olivia. We have yet to hear about Olivia’s past, about any of her (biological) family members. I believe that Rowan will end up being Olivia’s father, yes its a bit soap opera-y but it just seems to make sense. Rowan and Cyrus are friends, which would explain how Cyrus became Olivia’s mentor (he always called her his favourite non-student). Rowan wants whats best for the Republic, and Olivia Pope as a fixer (with her reputation in tact) is definitely what is best for the Republic. He seems to be cleaning up her mess, fixing her. Defiance, the tape with Jake Ballard, even slightly sabotaging the Grant administration (aka her relationship with Fitz) may all be for her. His daughter. To me this would also explain how Huck is able to live a relatively normal life at Pope and associates, as Charlie mentioned when the government wants you gone. You. are. gone. 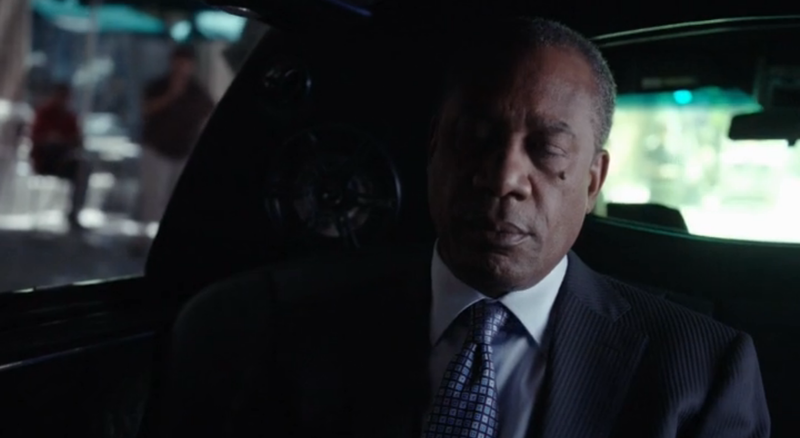 It would also explain the black envelope Olivia gave Harrison, her fathers information as a last resort. Well this post turned out to be much longer than expected! We’ll see if any of this turns out to be true during the season 2 finale next thursday night on ABC. 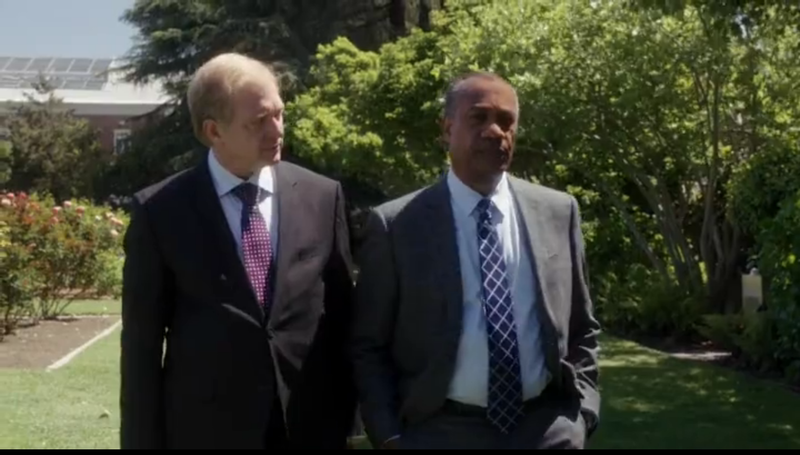 Here’s a promo clip to get you excited, but then again this is a Shonda show. 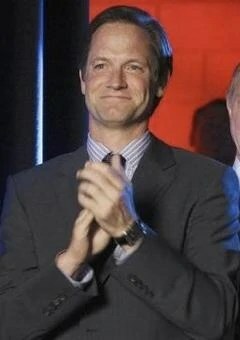 And if theres anything Shonda Rhimes can do, its write a killer season finale. 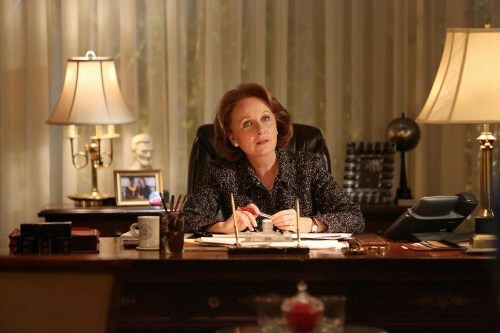 Scandal Season 2: Who is the mole? 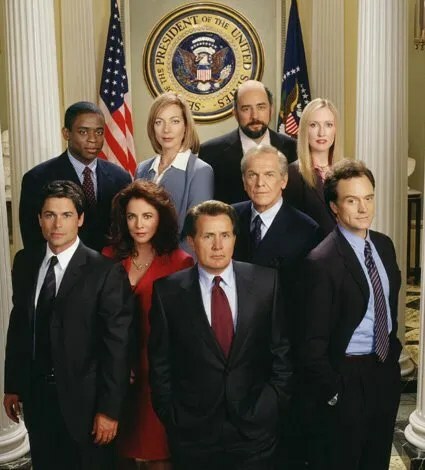 As we inch ever closer to the season 2 finale of ABC’s Scandal (airs May 16th 2013), the question on every fan’s mind is: Who is the white house mole!? With the second to last episode of the season airing in just under 5 hours, I thought I may as well put pen to paper fingers to keyboard (?) and write out my possible subject combinations. With rumblings over the interweb (particularly over at tvline.com) that the identity of the mole is truly shocking, so much so that the actors themselves have said they were shocked during the table read. It only makes sense that the identity of the mole and their associate must be both someone who has a relatively active role on the show and has been portrayed as innocent. My head has been spinning over possible combinations, and my yearing for information hasn’t exactly been helped by the fact that I’ve just re-watched all of season 1. Side note I would have much rather had Olivia date Billy as opposed to the bore that is Senator Edison Davis…of course before he turned out to be the enemy. Billy’s dialogue has been full of one-liners that add some comedic flair to an otherwise heavily dramatic show. Anyways I digress….back to the potential mole candidates! Sally Langston and Hollis Doyle: Though we haven’t seen VP Langston in a while, I don’t doubt that she is still plotting to become president. Again we haven’t seen Hollis Doyle stomping through the hallways of the White House in quite some time but sometimes an absence says enough. Since this is a Shonda Rhimes show, I can’t help but bring up Grey’s Anatomy‘s fifth season where George O’Malley (portrayed by T.R. Knight) was noticeably absent throughout the season so when it was revealed that he in fact was the John Doe they were operating on during the season finale, it came as a shock since viewers were accustomed to his lack of screen time. Although Sally has been the pinnacle of moral conduct, Hollis isn’t afraid to get down and dirty. Election rigging, the Cytron explosions, he has gone through a lot for the Grant administration and if he feels that he isn’t getting his end of the bargain, his record illustrates that he wouldn’t be opposed to implementing a change. With Hollis’s resources (how many people really have the means to rig a national election) and Sally’s position, I can see how they would have access to such top secret information. If Billy Chambers was still alive I would definitely add him as a suspect but that requires many assumptions (assuming Charlie didn’t kill him for one) and many IF’s. 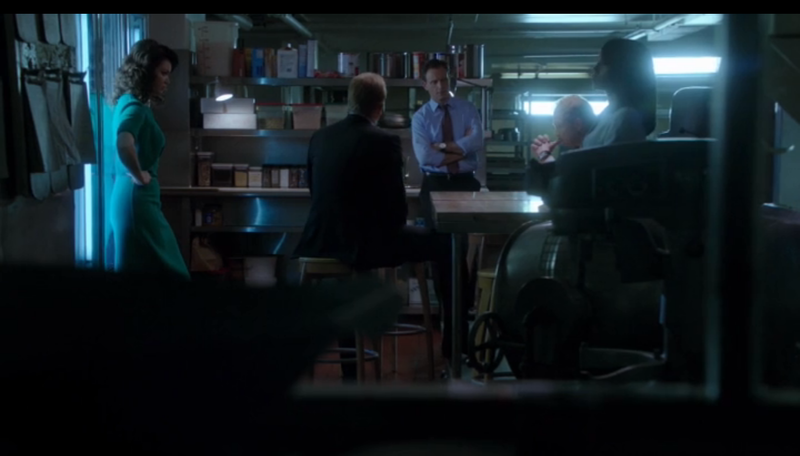 Fitz and Jake: A truly shocking combination. However I could somehow see this duo come into fruition. Fitz wanting to prove to everyone involved in Defiance that he could overcome an adverse situation (on his own) and Jake of course has the the know-how to fill in the blanks. Yes orchestrating your own shooting, is a bit of a stretch but hey this is TV! Fitz came to Jake at a time when he didn’t trust anyone else, so it would only make sense for Jake to be his ally if he were to pull off this huge debacle! 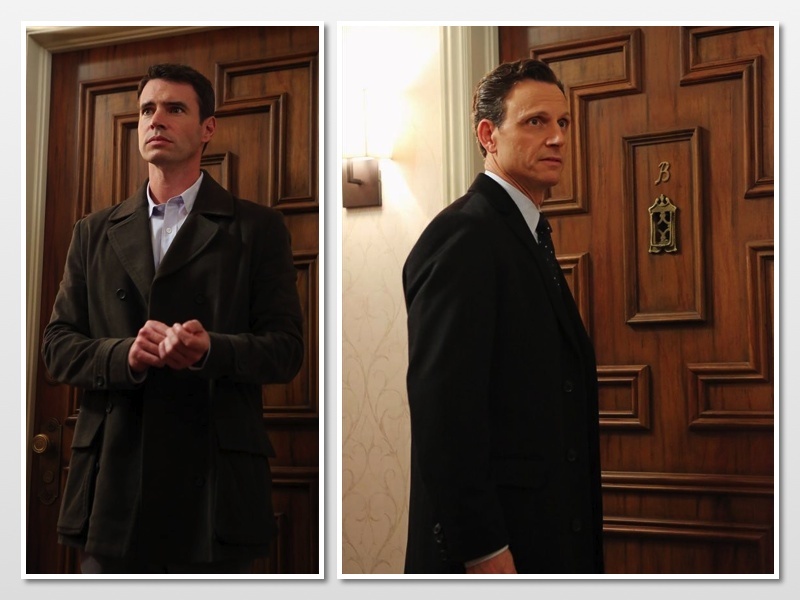 With Fitz coming out as the mole and Jake coming out as his accomplice (he did say he only took orders directly from Fitz), I have not doubt that Jake’s relationship with Olivia would in turn be revealed; causing another rift in the duo that is POPUS or Olitz whatever you want to call them. 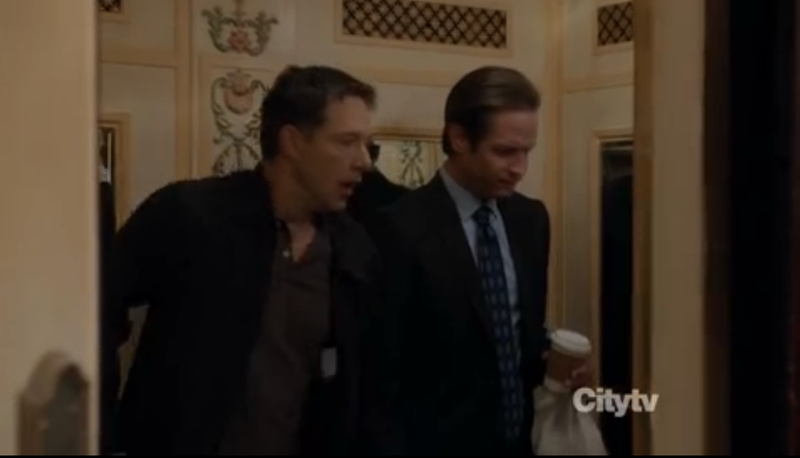 David Rosen and James: The people you would least expect! The duo grew closer during the Defiance investigations and although James had the opportunity to condemn Cyrus, bringing down the administration may be closer to what he’s after? David who has been growing closer and closer to Olivia Pope and Associates has been in the office long enough to gather some dirty secrets of his own to use as blackmail. Losing his job, reputation and career are not feelings to be taken lightly. Although they both aren’t powerful enough to have the means or security clearance on their own, they are well connected to powerful people. Blackmail can be a powerful thing. I do think that its a bit convenient that James suddenly got his journalist job back in time to interview Mellie (could a James and Mellie duo be a possibility?) for arguably the biggest interview of the year. Although he has forgiven Cyrus, and it seems that David has forgiven Olivia, they are both men of integrity and may excuse their behaviour in the name of justice. Cyrus Beene: Cyrus is a power hungry pitbull who would likely jump at the chance of having ultimate,unquestioned control of the White House. Although they basically told us last week that is wasn’t him, given that he now seems like the obvious choice. Again this is a Shonda Rhimes show and sometimes the obvious choice turns out to be the correct one (another Grey’s reference but Izzie having a brain tumour anyone? 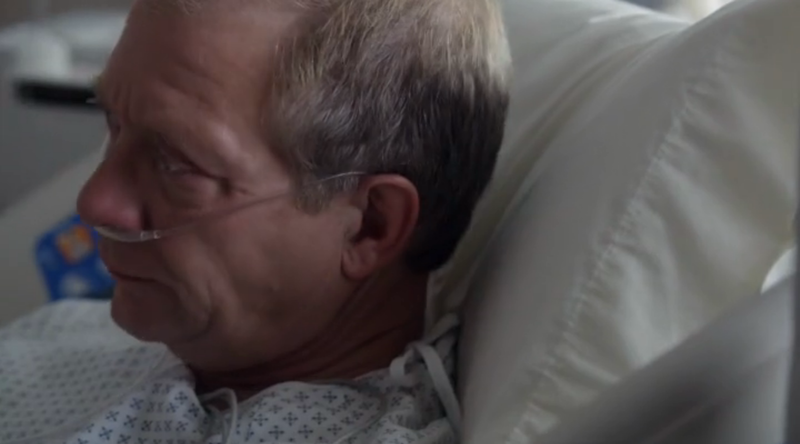 Shonda specifically said Izzie didn’t have cancer and yet look what was revealed). Cyrus was almost willing to kill his husband and who knows what he would have done to Olivia, this pitbull is close to jumping the fence. Edison Davis: It seems that he has deduced Olivia’s relationship with the president and jealously can be a fickle friend. Although he certainly doesn’t have the security clearance and at the time Fitz’s shooting wouldn’t make much sense, never underestimate how far a jealous individual will go. Yep, pretty sure that was my exact reaction to hearing the news. Partners, the CBS single-camera comedy was undoubtably my favourite TV offering of the 2012 year. 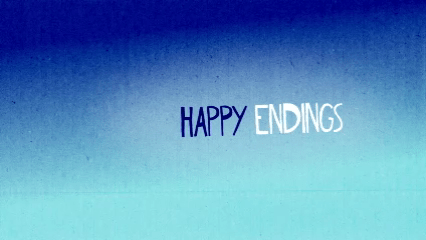 Its rare for me to re-watch episodes, even of shows that I love (e.g. Modern Family, Grey’s Anatomy…back in its prime). However I’ve watched the 6 aired episodes at least twice each, and with some (Episodes 2 and 3) that number is probably closer to 5. This smart comedy was written by David Kohan and Max Mutchnik, the creative duo behind Will & Grace, one of my favourite comedies. The show is filled with double entendres but has a lot of heart. Parters stars (starred?) Michael Urie and David Krumholtz as Louis McManus and Joe Goodman respectively. They play two lifelong friends who are business partners in an architecture firm. Louis is a gay man who is in a relationship with his boyfriend Wyatt (Brandon Routh) a male nurse, while Joe is a straight male who is recently engaged to Ali Landow (Sophia Bush). While I haven’t been a fan of Brandon Routh’s acting abilities, I’ve always found him to be stiff and lacking emotion, this character really works in his favour. Wyatt is a Mennonite, and while his portrayal doesn’t come off as entirely natural, I still enjoy when he is on the screen. The weakest link in the series for me has to be Louis and Joe’s receptionist Ro-Ro, played by Tracey Vilar. Her portrayal comes off as a very one-note caricature and I don’t find her to meld well with the rest of the cast. I wish they had gone with a different actress. I’m also unsure of Sophia Bush in a comedy role. I find her to be a bit stiff but she seemed to get better and more comfortable with each coming episode. 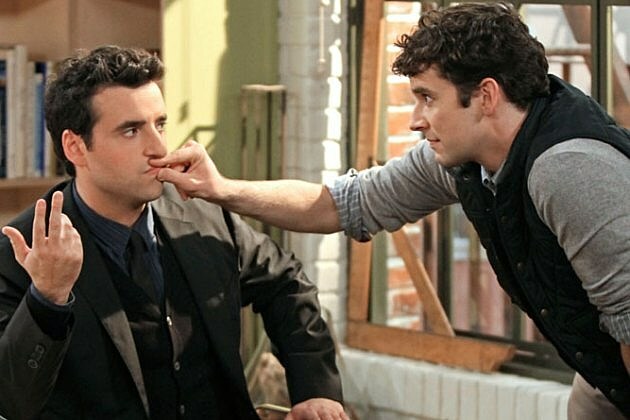 I loved the chemistry between Michael Urie and David Krumholtz, the reason I started watching the show was because I missed having Michael Urie on my screen! With only 6 of the 13 shot episodes aired, I truly hope that CBS decides to either air the remaining 7 episodes or release the full 13 on a DVD. This is a show that I could see myself watching over and over again so I’m pretty bummed that it won’t be on my television anymore. CBS cancelled the show on November 16th 2012, immediately removing it from the schedule and instead airing Two and a Half men repeats. The show’s online page and episodes were subsequently removed and its People’s Choice online ballet was removed. I recently learned that all 13 filmed episodes are being aired in South Africa so I am crossing my fingers, toes and anything else I can find that I will be able to find the remaining episodes online somewhere.